Microwaves and the food they heat are always a controversial factor in the food world. Most people rail against them – even “down to earth” Jamie says he rarely uses one. And, I can understand. It is seen as the antithesis of making a good meal. But…and for me there is always a but…I can’t help but love them for some reasons. They offer great method to start off jacket potatoes and cut way down on the electricity used if you were to do them solely in an oven. They’re more efficient for melting chocolate and heating milk. I grew up with only a woodstove, so our microwave was a godsend for certain foods when the old Elmira was still heating up. However, I have almost always drawn the line at “microwave meals”. 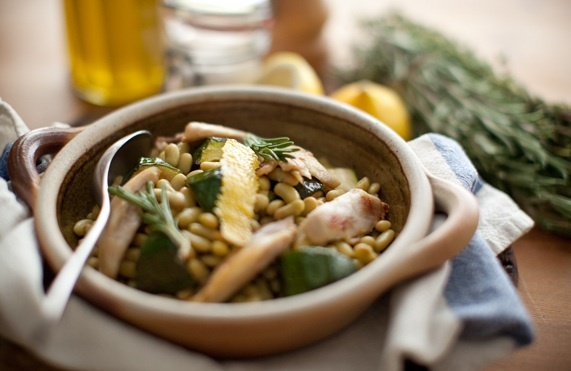 They’re often over-priced for what you get (I mean, really – cooking a quick creamy pasta takes 15 minutes and costs, maybe, £1.50 over the £3+ you’ll pay for a convenience meal). They generally annoy me with their idea that people are too stupid to look in a cookbook and put a few ingredients in the pan. They say it’s quicker and, that’s true. But for an extra 10 or 15 minutes, I’d rather have meal that tastes of food over than one that tastes like plastic. As such, I was intrigued when I heard of David Oliver Fine Foods and was invited to an event to meet the young creators and try out their food. The company creates “microwave meals” of sorts (though they heat up in the oven equally as well) which use sustainably sourced and raised game meats with no additives. Run by friends David Holliday (formerly of London’s first Michelin star pub, the Harwood Arms) and Oliver Shute (owner of the Pot Kiln Anywhere catering company), the company was created with the idea of providing restaurant-quality meals for home using ingredients that people wouldn’t normally have time to prepare, such as rabbit, venison and guinea fowl. Both are also ridiculously, fully grinned and passionate about sustainability and sourcing, deciding to pay more for individual ingredients even if it means a minimal profit on each dish, which is a huge rarity in the “fast food” arena. The food comes served in artful packaging, featuring cozy woodland scenes in muted greens, blues and browns. The pair served up a set of dishes to willing foodies to see if our trained tongues could taste the difference and discover which dish was the packaged version and which was cooked fresh to order. And did they fool us? I am both sad and glad to admit that they did. It was almost impossible to tell which had been made in the past ten minutes and which had been packaged. The only giveaway? The skin was slightly crispier on the guinea fowl that was freshly made. But both had hefty portions of root veg and thick gravy, and large slabs of deliciously tender meat. That evening, I brought home a separate dish for the boy to try. 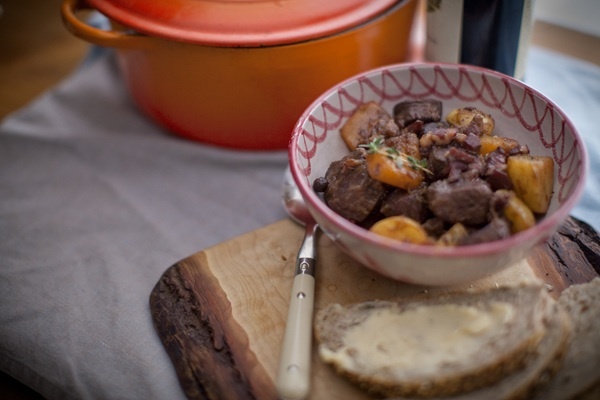 He had the venison stew with sweet potatoes and red wine. He enjoyed it thoroughly but only questioned whether most people wanting a “microwave meal” would pay the £5.45 these dishes retail for. It’s a good question surrounding whether or not the average person after these meals cares about where the meat is sourced from or how much veg is present in the dish. I hope this isn’t the case. Not because I’m won-over by any PR done by David or Oliver. But because what they’re dong is trying to change both the perception of the “microwave meal” and do it while showing you can still have fast food that cares about the environment and the creatures involved. It’s true the meals are slightly “upper class” which may not appeal to many people cutting back in this economic environment but, equally, I wouldn’t be likely to spend hours sourcing and cooking game meat at home, so the rich dishes would be a treat I’d be willing to pay for. Additionally, I found them just as tasty as a dish I would pay at least £12-£15 for in a London restaurant, so it’s a much cheaper alternative. I just hope more companies see the potential in doing something good with microwave food, rather than washing our palates with bland, pasty, carbohydrate-fueled bumph. The former would be much more pleasurable indeed. 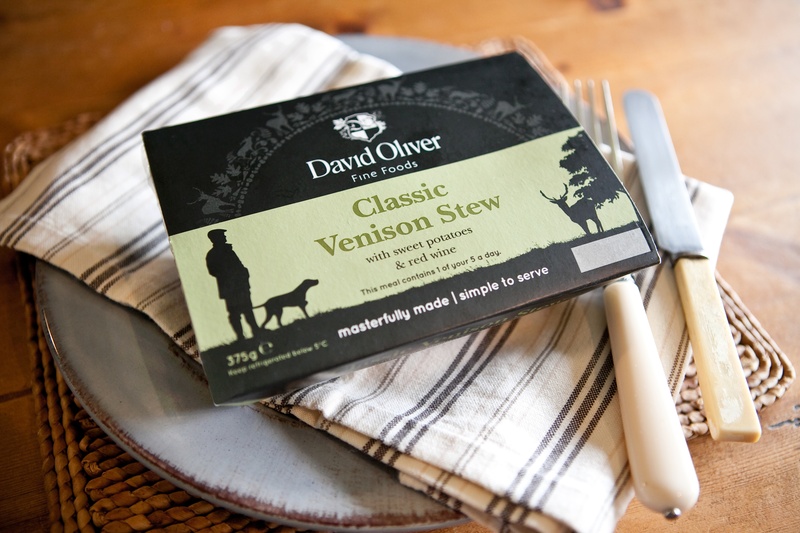 David Oliver Fine Foods meals are available on their site (here) or at Waitrose and farm shops in the south of England. These do sound like tasty and interesting microwave meals to taste. We have a microwave, but the only time I ever use it is to start jacket potatoes.